A PERFECT HOLIDAY GIFT «An intelligent explanation of the mechanisms that produced the crisis and the response to it…One of the great strengths of Tooze’s book is to demonstrate the deeply intertwined nature of the European and American financial systems.»–The New York Times Book Review From a prizewinning economic historian, an eye-opening reinterpretation of the 2008 economic crisis (and its ten-year aftermath) as a global event that directly led to the shockwaves being felt around the world today. 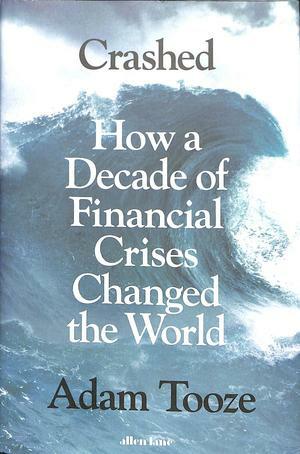 In September 2008 President George Bush could still describe the financial crisis as an incident local to Wall Street. In fact it was a dramatic caesura of global significance that spiraled around the world, from the financial markets of the UK and Europe to the factories and dockyards of Asia, the Middle East, and Latin America, forcing a rearrangement of global governance. In the United States and Europe, it caused a fundamental reconsideration of capitalist democracy, eventually leading to the war in the Ukraine, the chaos of Greece, Brexit, and Trump. It was the greatest crisis to have struck Western societies since the end of the Cold War, but was it inevitable? And is it over? Crashed is a dramatic new narrative resting on original themes: the haphazard nature of economic development and the erratic path of debt around the world; the unseen way individual countries and regions are linked together in deeply unequal relationships through financial interdependence, investment, politics, and force; the ways the financial crisis interacted with the spectacular rise of social media, the crisis of middle-class America, the rise of China, and global struggles over fossil fuels. Finally, Tooze asks, given this history, what now are the prospects for a liberal, stable, and coherent world order?